Nagari is an aboriginal word meaning "flowing," and the Bolwell Nagari, also known as the Mk VIII, was the company's first full production sports car with 127 coupes and 13 convertibles made. 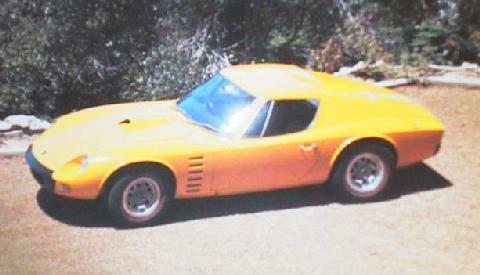 It was manufactured from 1969 to 1974 and became the best known out of the 9 Bolwell car designs: the Mk I-VIII and Ikara. The Nagari featured a Ford 302 or 351 cubic inch V8 engine mounted in a 920 kg (2,028 lb), 2,280 mm (89.8 in) wheelbase body and backbone chassis. Other components came from Ford (suspension and dampers) and Austin 1800 (steering).